While I have always had a dreaming of sailing the world my better half really wasn’t sure that would ever be on her bucket list and a sailboat seemed like another “toy “ for Dave. While I have been kicking tires for years in the early spring of 2014 we decided to take it up a notch. So we chartered a Helia FP from Horizon in the BVI on a try it before you buy it deal. Lets say we learned a lot, really enjoyed the experience but really didn’t enjoy the boat. In the fall of 2014 the new Saba from FP came out. So off we went to the boat show in Annapolis, MD. Where we fell in love with the new 52 Lagoon. Sorry FP, but we just didn’t love your boats. But things have a strange way of working out and no mater how hard we work on getting a loan it could not be done for the 52. Boat loans are a indeed their own beast! But we could easily get a note for a 450. While that wasn’t what we were dreaming of – it is what we ended up with and truly love. 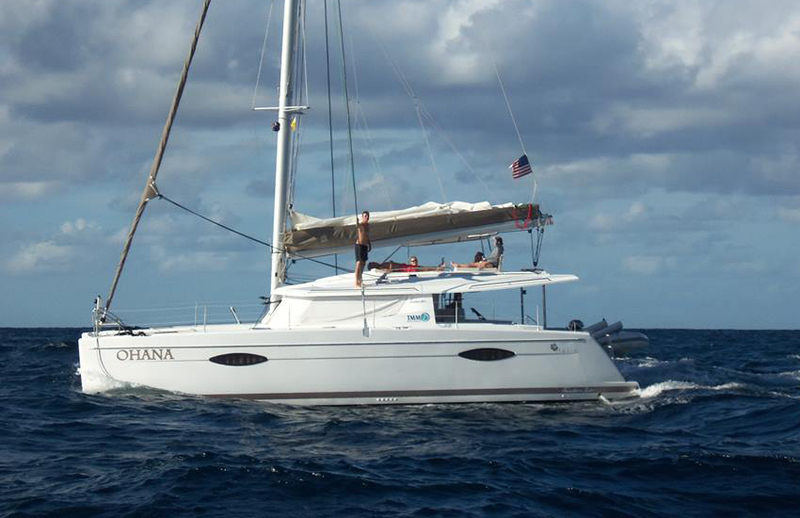 We began our search for a catamaran to put into charter service in the BVI’s back in early 2015, and a charter company to manage it. After checking out a number of companies it was hard not to go with TMM! Their reputation, longevity in the business and their professionalism were apparent. We also liked the way they allowed us to custom order your boat so that it wasn’t a “cookie cutter” boat like the others. TMM was also very helpful in guiding us through the whole process, from ordering through purchase and delivery. They are clearly pros! The staff at TMM are the best too; like one big family. After charting sailboats in the BVI for a number of years my wife and I began to consider ways to increase our time in the islands. We were looking at buying a boat and locating it in the BVI. 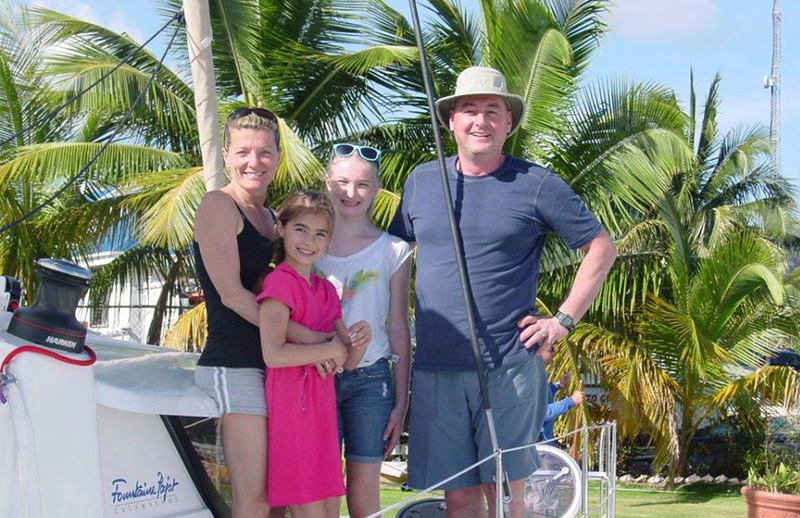 A long-time friend introduced us to TMM and the concept of owning a boat by placing it in a charter program. This would allow us ample personal usage as well as a return on our investment. After talking to Don P. and evaluating the information we decided to do just that. TMM has been great to work with from help with strategically selecting a boat to facilitating the transportation and integration into their charter program. They have done exactly as they have promised. We felt like we have made good friends with the TMM staff and can rely on them for all of our needs. After spending a couple of weeks on our new boat we feel we made an excellent decision! We definitely want to thank-you for all your help through the buying process of our new Helia 44. I know we had a lot of questions and you walked us through them all! The whole process from shopping, ordering and the final delivery were all handled professionally. Also please thank Barney and the whole crew at TMM. Everything that was promised to us was done in a professional and timely manner. We had been chartering with TMM for the past 5 years and were extremely satisfied, so we were very comfortable to purchase Ohana through TMM. We are looking for a long and rewarding relationship with you and TMM. Dear Don - just a note of thank you and a referral to anyone thinking of purchasing a new sailboat. TMM is a great way to go! It was almost a year ago that I went to the Miami Boat show to look at sailboats with the intent to purchase. I was undecided whether to purchase a monohull or a catamaran. We toured every model in the class that made sense for us, which was up to a 58' monohull or up to a 44' cat. 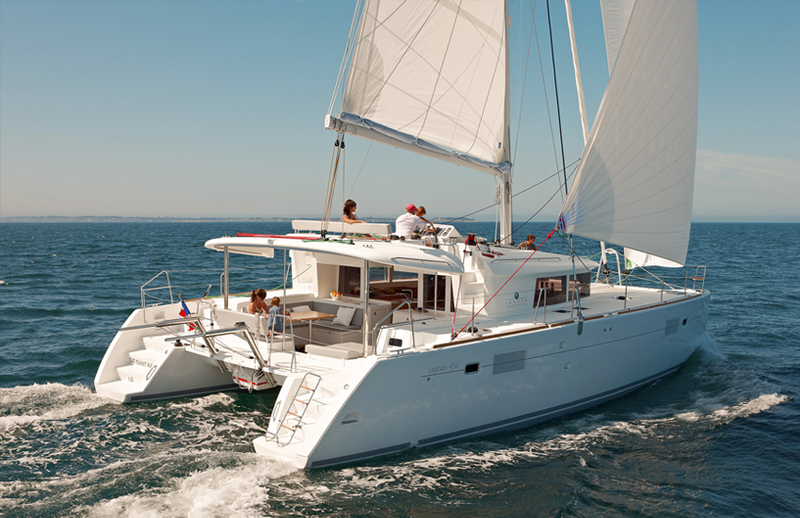 The boat we were most impressed with was the Fountaine Pajot Lipari 41. We loved the sleek design and comfortable layout. The next step was to charter that same boat for a week, see how it sailed and see if it would we be as comfortable as we thought. In exploring that option we met you and the team at TMM Yacht Charters. 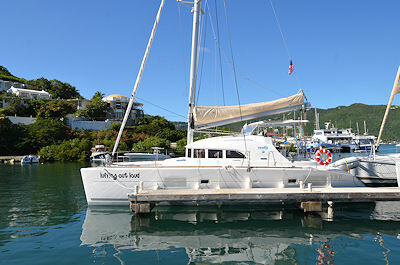 We have been sailing in the BVI for 25 years, eleven of which have been with TMM. 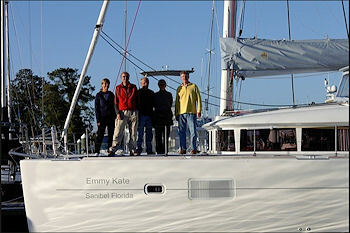 We have also owned a charter boat with two other companies. So, I think we have a pretty good perspective. With that experience in hand, we picked TMM when it came time to buy a new boat. Don Pietrykowski was our point of contact, and he was terrific to work with. He put together a package for our new Mahe 36 Duo Evolution, Trinity, that was both tailored to our needs and competitively priced. 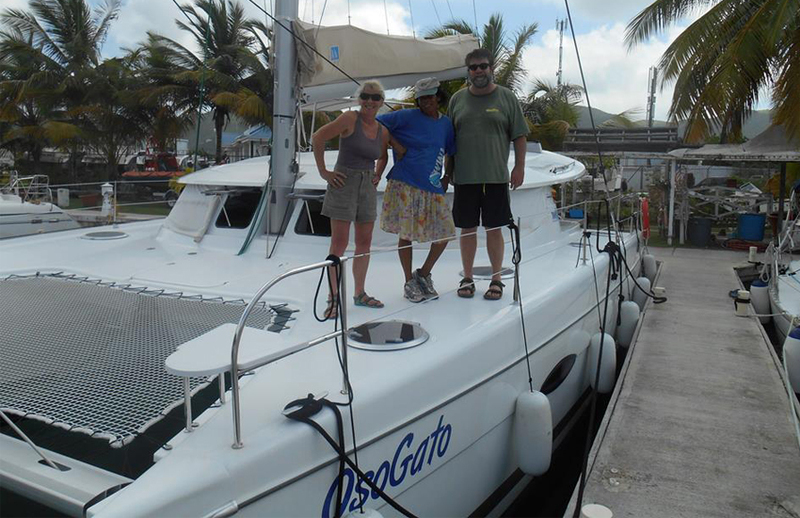 He even arranged for me to be one of the three crew members who sailed the boat from France to Tortola. The charter program for Trinity has been so successful that I find myself reserving our time on the boat a year in advance. No question in my mind that we made the right choice. We cannot thank ALL the folks at TMM enough for making our charter experience a fabulous one. From the very start, with our purchase of the boat, to helping us become more proficient sailors, to sharing the knowledge of boats and boat maintenance, TMM has been wonderful to us. These last few weeks as we prepared to take our boat out of charter everyone has been amazingly helpful and supportive. We will certainly miss all of you! We look forward to having our paths cross again in the future. Many thanks to the best charter company and people on Tortola! I purchased a Lagoon sailboat from Don Pietrykowski from TMM in 2013. I was very pleased with the overall experience. Deciding on what sailboat manufacturer and model is very challenging and to make it even more challenging we decided to do this as a business venture as well. This journey started like most do I'm sure, a bareboat sailing vacation in the BVI. By chance, our first bareboat charter was on a boat in TMM"s fleet. When I returned home I had many conversations about yacht ownership with the owner of the boat we chartered. We soon booked another charter and on our return to the TMM base, I had a brief conversion with Don about their charter management program. 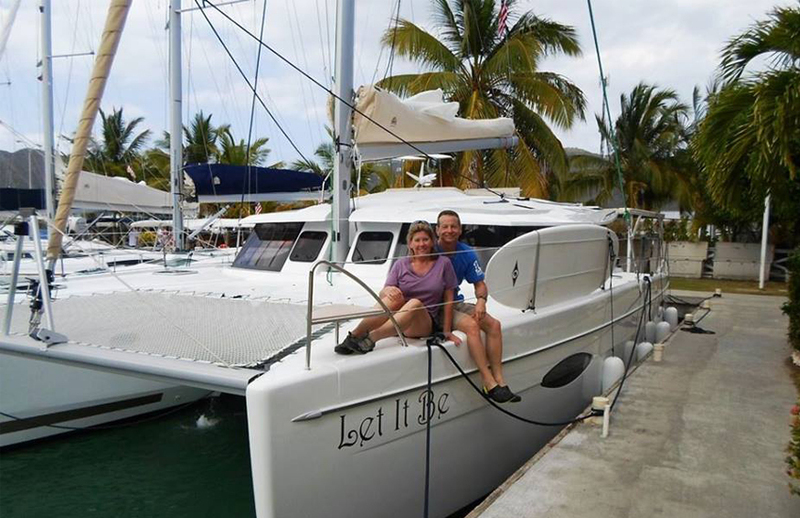 My partner and I have been visiting the BVI for several years and have dreamed of owning a charter boat that we would eventually spend extended periods of time on in retirement. 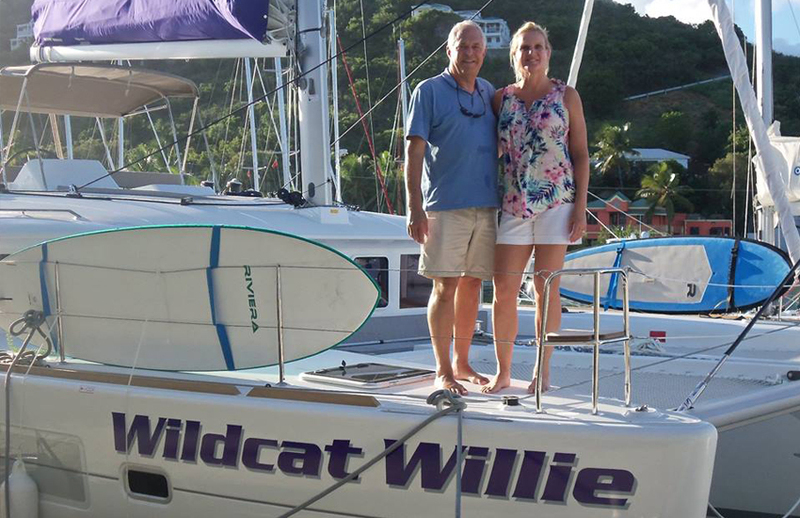 After chartering everything from small monohulls to large catamarans, we had our heart set on purchasing a new cat in the 40 foot range and placing her in charter service. During one of our trips to the islands, we decided to take a couple of days to interview potential yacht management companies and look at new boat offerings. We had read several extremely positive recommendations about working with Don at TMM, so he was definitely on our list of companies to visit. 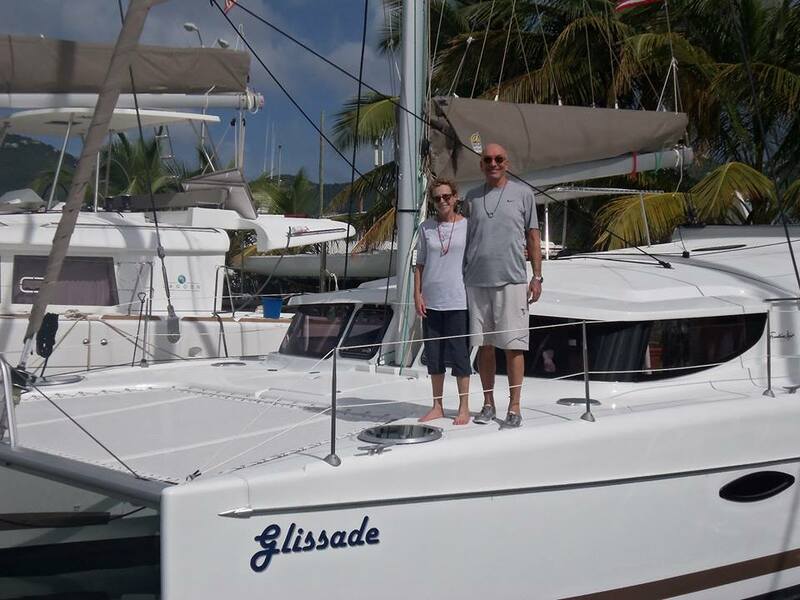 To those considering a purchase/charter option for a sailboat, this is a very strong letter of endorsement for Yacht Sales by Don Pietrykowski and the Tortola Marine Management (TMM) team. First let us explain our history. Two of us are successful business owners of a greenhouse who deal regularly with salespeople as they start up every midwinter into spring. Their business employs 30 plus people during the growing and then selling spring season. The other two partners include a practicing outpatient/hospital internist/geriatrician, and a pediatric nurse practitioner. Not only do they deal with pharmaceutical sales people on a regular basis, but daily have to sell themselves to their patients and the patient's families to make the healing process work best. Clearly all of us know and understand sales. TMM is a great Company to deal with. I can check the Charter bookings for my boat on line, any time. The financials are detailed and the level of maintenance is great. Of course you pay for the maintenance and therefore it should be great. The operating contract is a cost plus. You take the risks of leasing and maintenance. 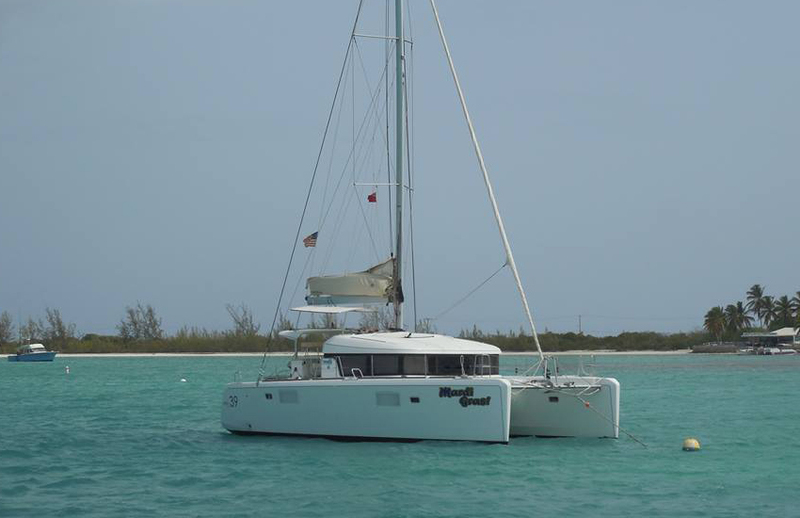 The bookings have exceeded my expectations and a part of that is that the Lagoon 400 is a new model. However, TMM has the marketing expertise and network and that makes the difference. When I take the boat out of charter, I will refurbish it with the monies I made during chartering. As an investment, I have made an excellent return on my investment and I am very pleased with TMM. Picking the right company to care for your investment is important My experience with TMM also includes a period in 2002 when I left my Lagoon 380 with them. Again an excellent experience. 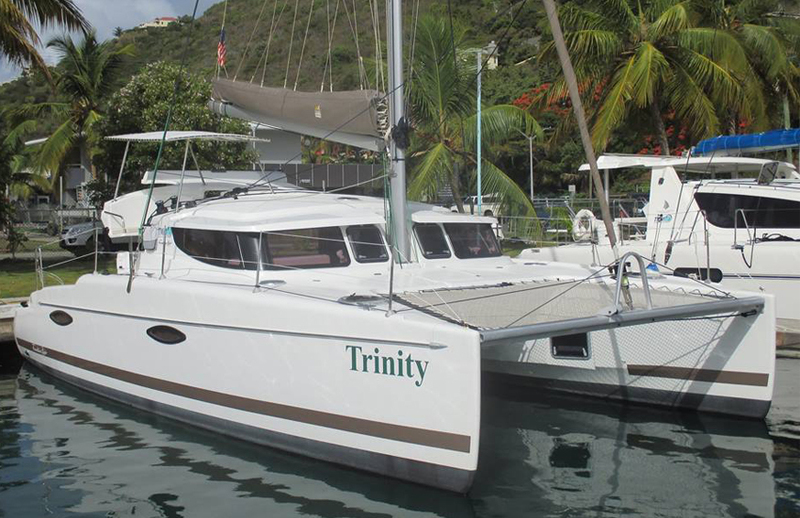 My relationship with TMM started just before making one major decision which was to purchase a dream catamaran and put it in the best charter management company possible. To make such an important decision and to deal with an International transaction I had to go through a thorough in-depth analyses with risk assessment of all potential charter management companies out there with the outcome being that I rested my decision and trust with TMM.